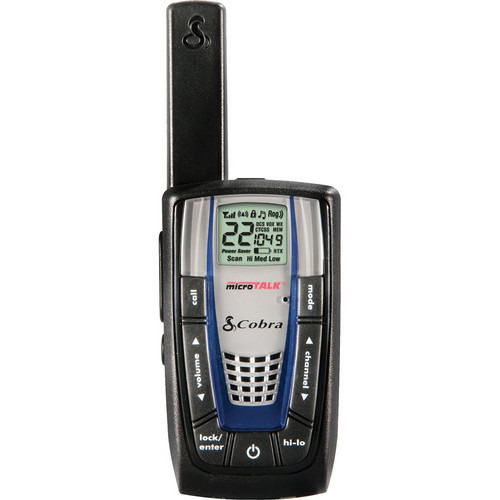 The Cobra MicroTalk CXR825 30-Mile Two-Way Radio is a compact, high-powered GMRS/FRS radio with a maximum transmission range of up to 30 miles. 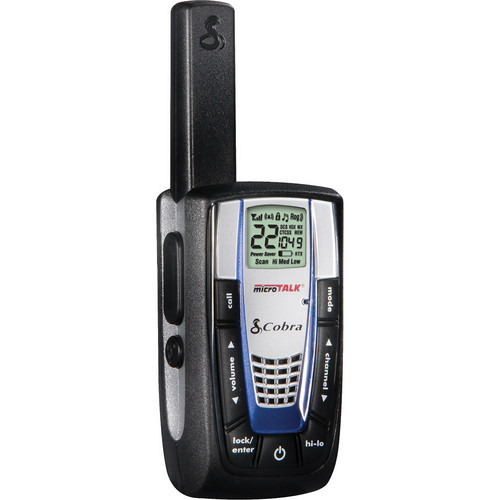 It features a built-in NOAA radio receiver for weather and emergency information. It also features VibrAlert, which notifies you of a call in noisy or all-quiet environments. The radio is equipped with voice activated transmission as well, which allows you to use your hands for other tasks. 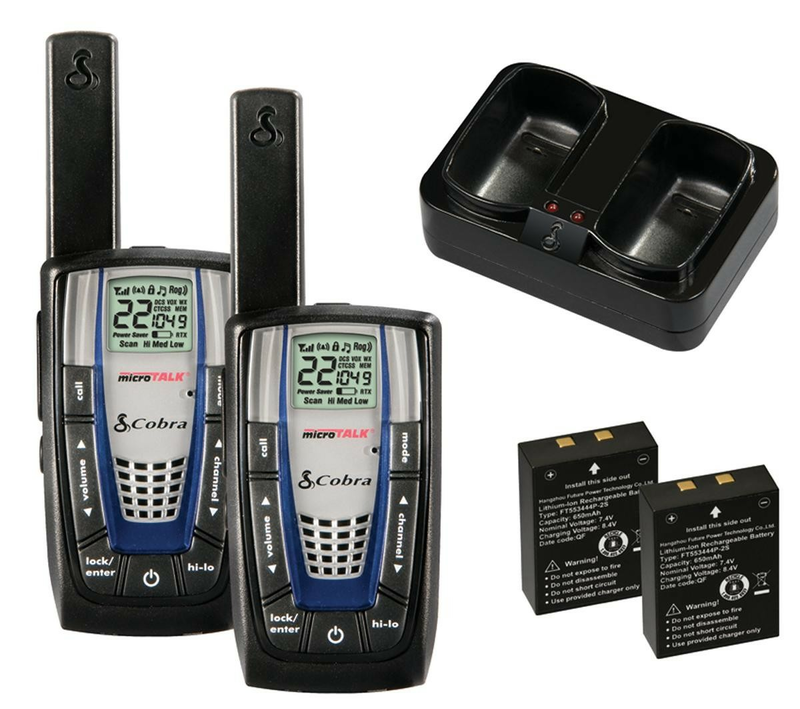 The CXR825 has 22 channels and 142 privacy codes (38 CTCSS/104 DCS). This refurbished Two-Way Radio is tested to work and appear as new, with limited to no signs of use. 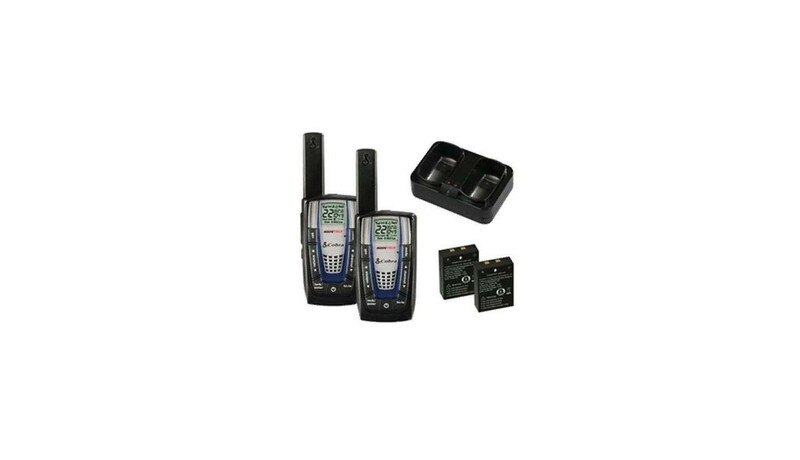 This Two-Way Radio will include all original accessories, and will have a 90 day warranty. 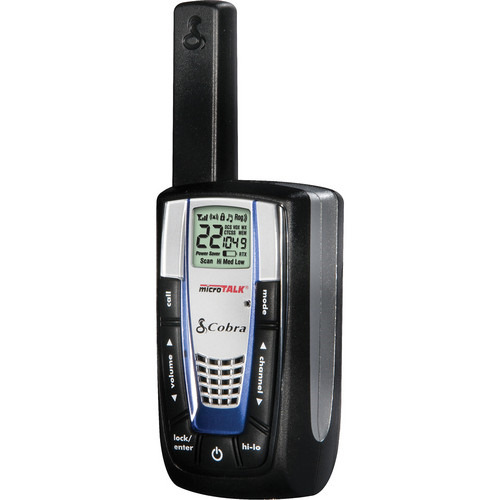 Up to 30 mile range - World’s most compact high-powered radio with extended range. NOAA weather and emergency radio - Be prepared for storms and emergencies with built-in NOAA radio receiver. VibrAlert® - Notifies you of a call in noisy or all- quiet environments. Desktop charger & rechargeable lithium ion batteries included - High capacity batteries for longer use between charges.